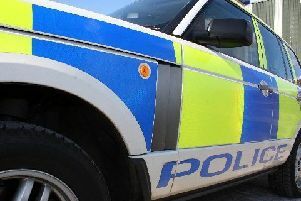 Police in Midlothian are appealing for witnesses following a public indecency in Gorebridge. The incident happened around 2.10am on Wednesday, June 6, in Greehall Crescent. A 33-year-old woman was walking home when a maroon-coloured hatchback car stopped next to her at the bus stop and the male driver engaged her in conversation. At this time, the woman noticed that the man was exposing himself. The suspect then drove off along Hunterfield Road and the matter was reported to police. Inquiries are ongoing to trace this individual and anyone with information is asked to come forward. He is described as white, late thirties or early forties, short mousey brown hair and a clean-shaven complexion. He was wearing a light-coloured t-shirt and dark jogging bottoms. Sergeant Lee Brodie said: “The woman was in no way threatened or injured during this incident, but, nevertheless, she was left shaken and we are treating this matter very seriously. “Anyone who remembers seeing anything suspicious activity around Greenhall Crescent during the early hours of Wednesday morning should contact police immediately. Those with information can contact Police Scotland via 101 and quote incident number 254 of the 6th June. Alternatively, an anonymous report can be made to the charity Crimestoppers on 0800 555 111.